Harwich has long been associated with the sea and its ports at Navyard Wharf & Parkeston Quay has seen a succession of ships from various shipping lines over the years. Launched for the North of Europe Steam Navigation Co. Made 12 trips from Harwich on behalf of ECR in 1854 and a further 47 in 1855. Once more chartered to Rotterdam in 1856. Broken up at Calais in 1899. Ss Balder was built in Port Glasgow for Thule Line in 1898. 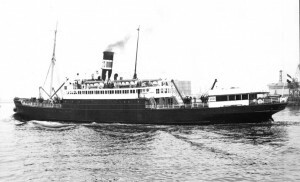 She could carry 109 passengers in three classes, and entered service on the Granton route. 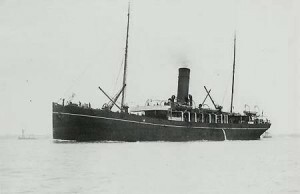 In 1910 she transferred to the Harwich/London route, and passed to Swedish Lloyd with the rest of the Thule Line fleet in 1916. In 1923 Balder transferred to the Newcastle route, and was given a major refit in 1930, reappearing with the name Northumbria. She was laid up during the depression, but had returned to service before the war. She was seized by German forces in Norway in 1940, and was bombed and sunk during an Allied air raid in Gdynia in 1943. S.S. Batavier II was built by Wilton Engineering and entered service on the Harwich-Rotterdam service in 1946 until transferring back to the Thames on the 1st of June 1947. Yard. N.V. Cockerill Yards, Belgium. 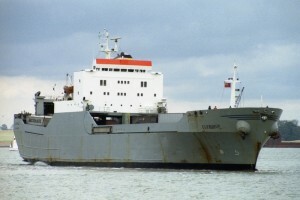 Sold to Hoegh-Ugland Auto Liners renamed Carib Star. 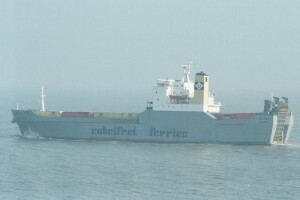 2003 Sold and renamed Sea Eagle. Sold to North Korea. 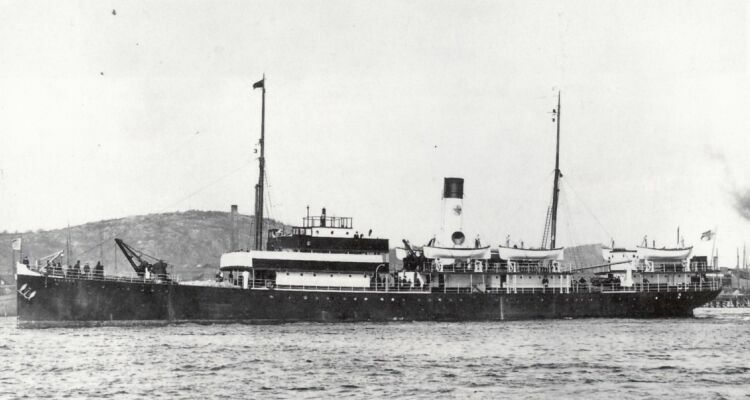 Renamed Sea Diamond. 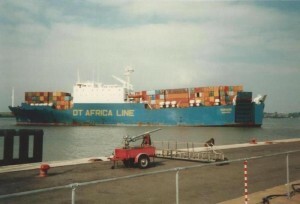 2005 Sold to Sea Eagles Shipping LLC, Panama. History: Liro Sun (1992)- Garden (1993)- Ella J (2006). Pictured in the River Stour, near Parkeston Quay, circa 1970. Photo by kind permission of Mike Wood. Cicero was launched on 05/03/1954 and completed in June the same year by Henry Robb Ltd at Leith, She was sold in September 1970 to the Maldives Islands and re-named Maldive Builder, she was sold for scrap leaving Karachi on 29/06/1977 arriving at Gadani Beach on 30/06/1977 for demolition. 1971 Renamed City of Glasgow. 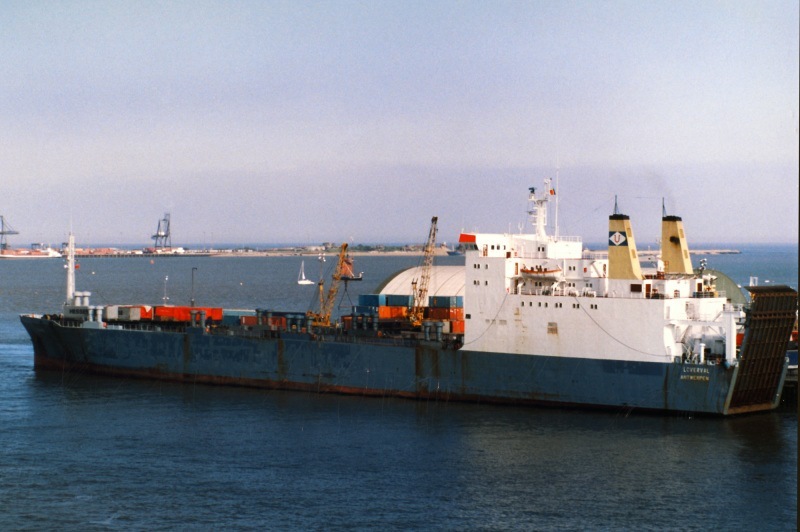 1978 Sold to Greece renamed Myrna. Broken up at Kaohsiung, Taiwan, 1980. Yard. N.V. Cockerill Yard, Belgium. 1993. Sold to Yangtze River Shipping Co. China. renamed Chang Hang. 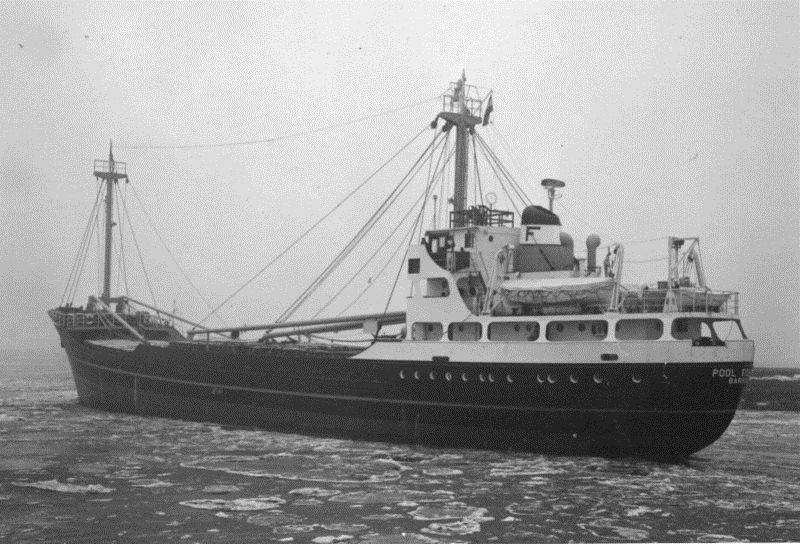 Repaired and re-entered service as Sargain 1948 and eventually scrapped at Savona in 1955. 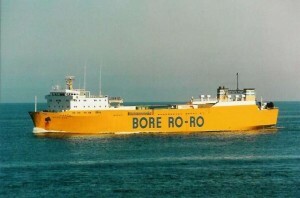 Chartered by ECR from 23 April 1855 to October 1855 (32 trips). Wrecked on Duncans Rock near Rodel, Isle of Harris (all passengers and crew saved). 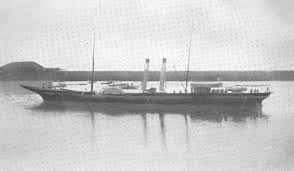 Ss Hirondelle was launched by Gourlay Brothers, Dundee on the 7th May 1890 and made her first trial trip to Parkeston Quay on the 14th of June the same year. She was designed to carry 70 first, 50 second, and 25 third class passengers. 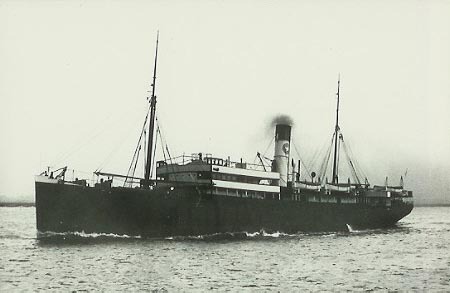 From 1905 she ran Between Parkeston Quay and Hamburg. Another of his Majesty’s ships, the torpedo-boat destroyer Haughty, has been in collision, and is badly damaged. The mishap occurred in Harwich Harbour late on Saturday and the other vessel involved is the General Steam Navigation Company’s cargo steamer Hirondelle. The collision occurred just abreast of Harwich Pier. The impact was clearly heard for some distance. Only her aft, watertight compartments kept the Haughty from sinking, as all her stern was under water. She was struck on the port quarter, in the officers’ wardroom, and the rent was over 5ft in width. No life was lost, which is remarkable, for sleeping in an adjoining cabin were two petty officers. Their apartment was almost submerged, but they rushed up on deck and answered the roll call. The Haughty was safely beached by two tugs. The Hirondelle had a large hole knocked in her fore ballast chamber. Following the outbreak of war she was used as a supply ship and continued thus until 1915 when she became a water carrier. She later returned to commercial service and was torpedoed and sunk in the Bay of Biscay on 25 April 1917 without loss of life. 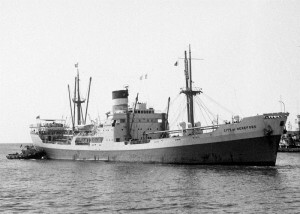 Jacaranda was chartered from Hudig and Pieters and increased departures on the Harwich-Rotterdam service from 1962 until December 31st 1963. The ship was sold in 1968 to Greek owners who re-named her Los II. History. Los II (1968). Starshine (1970). History: Matina (1983) – Loverval (1985) – Marabou (2003) – Faina (2007) – Ina (2013). 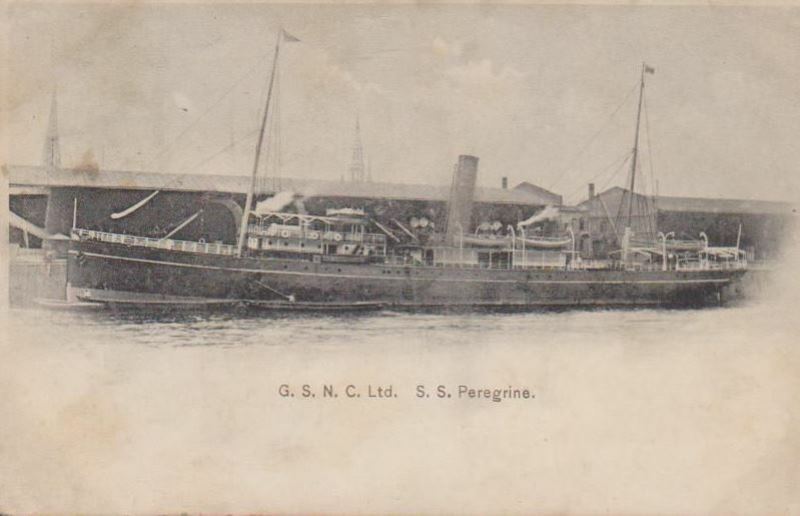 Ss Peregrine was launched on the 12th May 1892 and fitted into the Parkeston Quay- Hamburg service for the next 10 years. 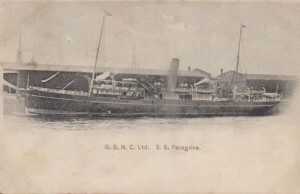 She could carry 250 passengers in two classes, first and third, During World War 1 Peregine was used as a flotilla supply ship until November 22 1915 when she was returned to her owners. She started running between Harwich and Rotterdam, and was eventually scrapped on the 20th March 1922 in Germany. About 1300 on 3rd November 1979, Pool Fisher sailed from Hamburg with a cargo of 1,250 tons of muriate of potash, in bulk, bound for Runcorn on the Manchester Ship Canal. The weather across the North Sea was force 7 with a gale warning in force. On the morning of the 5th of November the tarpaulin on the after end of No. 1 hatch had to be re-secured. 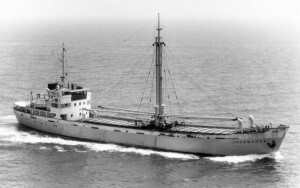 There could have been some increase in the forward trim with water entering her chain locker and focsle space, through the spurling pipes, or with the cargo settling forward with the pitching, or with water entering the hold when No 1 hatch had to be re-secured. Also some change to the trim by the consumption of fuel and stores. At 2250 on the night of the 5th of November 1979, the tanker, Esso Penzance sighted Pool Fisher about 11 miles south of Brighton. She was steering erratically. At 0547 the following morning Niton Radio received a Mayday call from Pool Fisher. Pool Fisher lies in 40 metres of water, upside down with her bows broken off and standing on end. 6.7 miles SSW of St. Catherines Point. 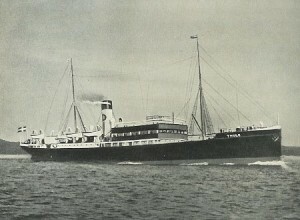 Entered service in June 1909 between Gothenburg and Tilbury, transferred to Swedish Lloyd in 1916 and chartered to Moore McCormack Line for service between New York and Rio de Janeiro. Returned to Sweden 1919 and opened Gothenburg to Newcastle route. Sold September 1929 to Compagnie Generale Transatlantique and renamed Mayenne. Seized by Italy 1942 Renamed Fabriano and sunk by Torpedo 11 May 1943. 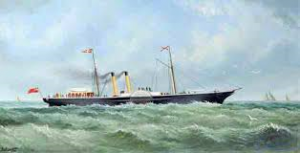 Ss Thule was launched on the 29th February 1892 and made her first call at Harwich in May 1910. Rebuilt in 1920 with new bridge and enlarged boat deck, she later ran to the Tyne before being sold in 1925 Italy and renamed Franca Fassio. 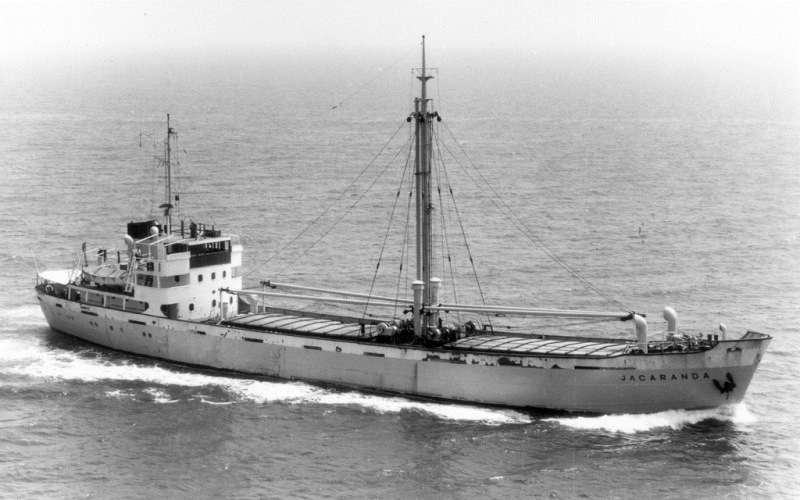 She was torpedoed by RN Submarine Triton on the 4th October 1940 off Capo Noli. Derek Sands, Simplon Postcards, Stephen Brown,and all those that have allowed me to use their photos.